What is Net Neutrality what can you do about it? Here is the first time he talked about Net Neutrality in 2014. But, what can you do? Write a letter to congress and ask them to #StopTheFCC. But, you don't have to do it alone. 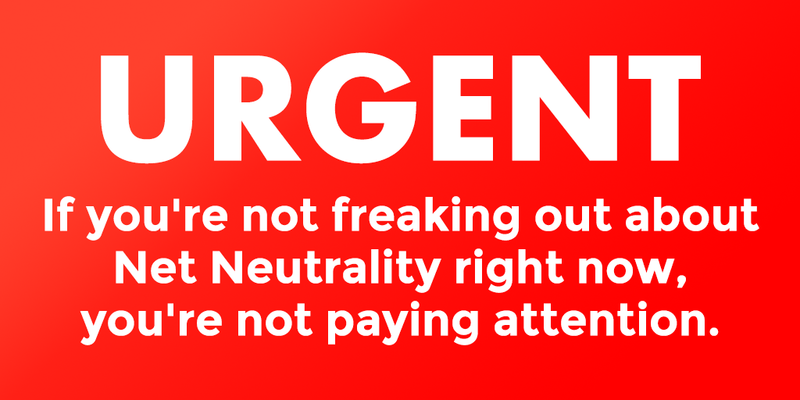 You have https://www.battleforthenet.com/ to help you. They will even help you talking to congress. However, Google is on our side. Our students do not always have the best resources when it comes to EdTech. With Net Neutrality gone, some websites used for education will slow down or blocked, and only resources provided by your ISP will be made available. One sure way to defeat a government is to destroy their communication. Similarly, one way to slow education is to slow EdTech resources.